Wilson BROWN married Sarah JENKINS and arrived in Bond County about 1833. They had children: Marion BROWN born 15 Jan 1830, Charles BROWN born 2 Jun 1832, Robert BROWN born about 1837 and Jane BROWN born in 1839. All of these children lived, married and died in Bond County. 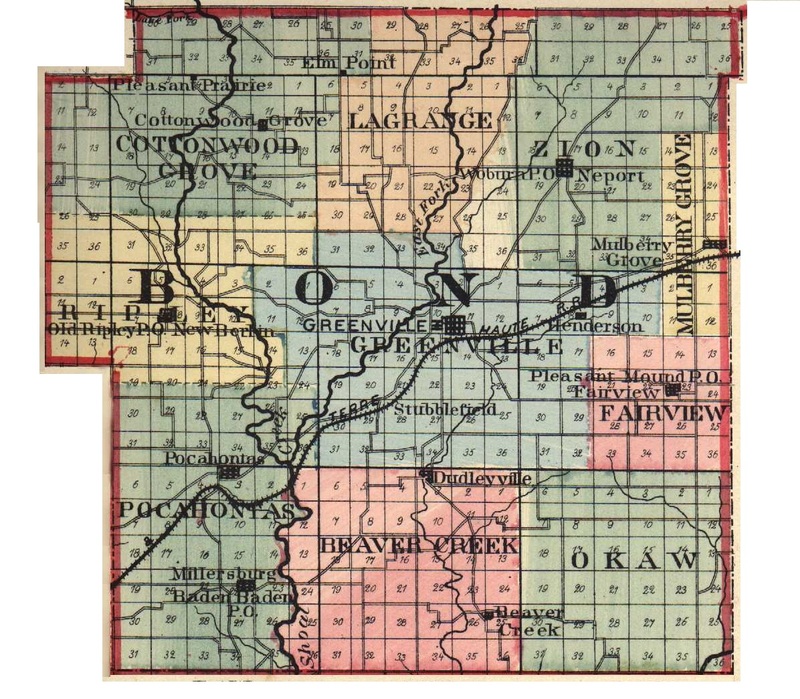 Sarah JENKINS BROWN died in 1846 in Bond County, IL. Wilson then married Ruth Permelle SHELTON on 9 May 1846 in Bond County, IL. They had children Carney(Kearney) BROWN born in 1846 and Sarah Jenkins BROWN born in 1848. They lived, married and moved from Bond County to die elsewhere.